What most people know about flamenco, is that this dance is manifestation of neither love and affection, nor entertainment and revelry fun. Fiery expressive flamenco is reflection of suffering and pain of an individual within nation, always persecuted and deprived of home. The dance itself, which has become a global symbol of Spain, is not only its national heritage, but aesthetic mix of cultures of Spanish, Roma, Jewish and Arab peoples. 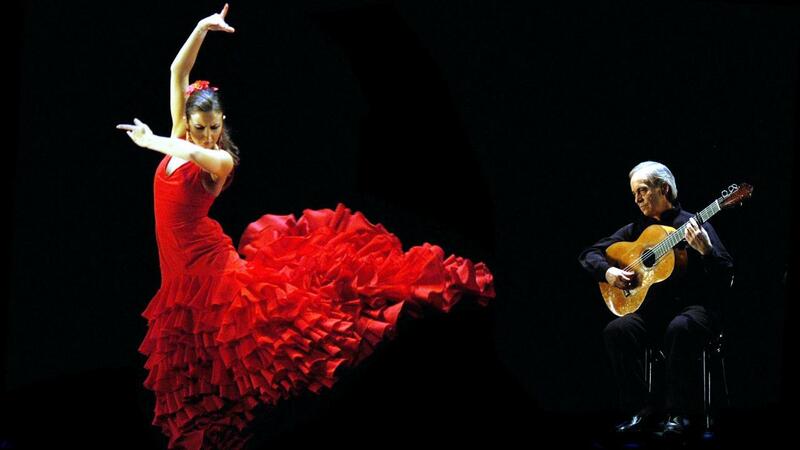 Flamenco is not just a dance but an independent culture: fusion of guitar, vocal, dance and theatre art dressed in garments of distinctive style. The most striking element of this multi-level product is intricate dance movements. 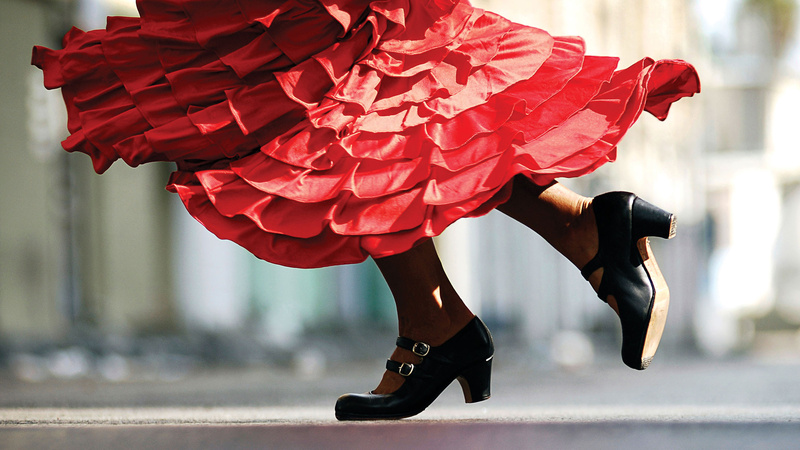 Complicated is not only the history of flamenco, but the dance itself. It is an abundance of melisma, sophisticated framework of rhythmic patterns, and many variations. Therefore, even the precise record of its notes, expressive steps and movements is impossible. So the original culture of flamenco can only be passed down individually by one person to another, only a talented teacher, a native of this culture, can teach you to dance. Flamenco is performed with partner like any other ballroom dance, at the same time it is considered a folk genre that provides for many performers. But in fact, one dancer can be enough because flamenco gives each performer boundless opportunities of individual expression. It glorifies freedom, manifests deep loneliness and lifelong restlessness, welcomes improvisations. Flamenco dancers have to pass feelings through their souls, and so display innermost emotions in their recital - each dancer needs to be self-sufficient and unique, hence, they are completely independent. floreo - turn of hand with its opening. In order to understand the origin of flamenco, we should investigate the etymology of its name. And everything is not easy - there are many suggestions for the origin of the word flamenco. The most common of these links flamenco with Latin word "flamma" - fire. It could have been a derivative of "Flanders". The Romas, who laid the foundations of flamenco tradition, came to Andalusia from Flanders. There is also possible connection with the word "flamingo": in Spanish it is also called "flamenco". 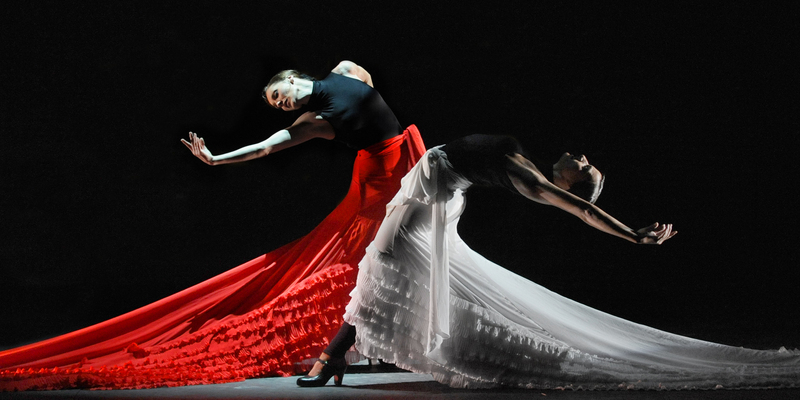 Researchers believe these theories are interconnected, but the essence of flamenco is more clear when considering them in synergy. 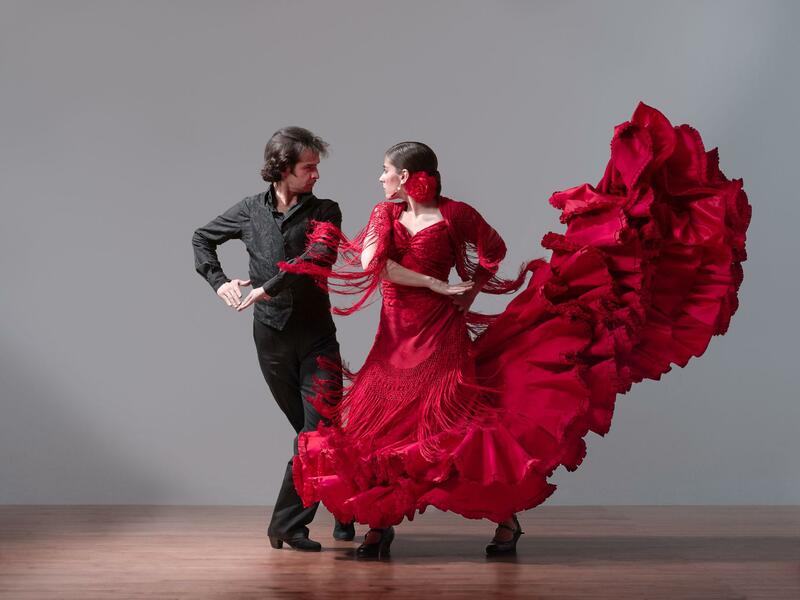 The origin of flamenco traditions is often associated with gypsy tribes of ancient India. Driven from their homeland, in 1400 they came to Andalusia (Southern Spain province) and found more or less safe haven. And their dancing, mingling with the unique culture of these places, resulted in flamenco, displaying dramatic fate of nomadic people. But in fact, the history of the formation of flamenco is much more difficult. And the basis of it is Andalusia. Even before the onset of AD, there existed an ancient European state called Tartessus. It was inhabited by highly educated people who were distinctive by their own musical culture. Writers of Antiquity even pointed out that the laws of this state, collected in the book Six Thousand Poems were written in rhythmical form. In 2nd - 10th centuries Greek-Byzantine religious chant was introduced into the culture. It also played a role in the formation of flamenco. Further, in the 18th century Andalusian classical music was formed. This process was influenced by the Arab tribes of Berbers who came here. In the 15th -16th centuries the Romas came there from India. So, contact of traditions of all these original cultures led to birth of flamenco. Modernity also introduced its experimental touches, such as Cuban motifs and notes of jazz. Spaniards do not deny the Romas influence on dancing, which has become a national treasure of their country. The famous Spanish poet Federico García Lorca described his feeling of dance "Gypsy sigiriyya begins with terrible cry, which divides the world into two ideal hemisphere, it is the cry of past generations, yearning for the vanished epochs, passionate recollection of love under the moon and other wind..."